Mais um Discos are a record company who specialise in contemporary Brazilian music. 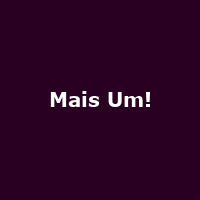 "Mais Um!" is a showcase taking place in July 2013, featuring Gaby Amarantos, Lucas Santtana and Graveola - with Mais Um Gringo spinning some of his favourite new sounds from Brasil in-between acts.